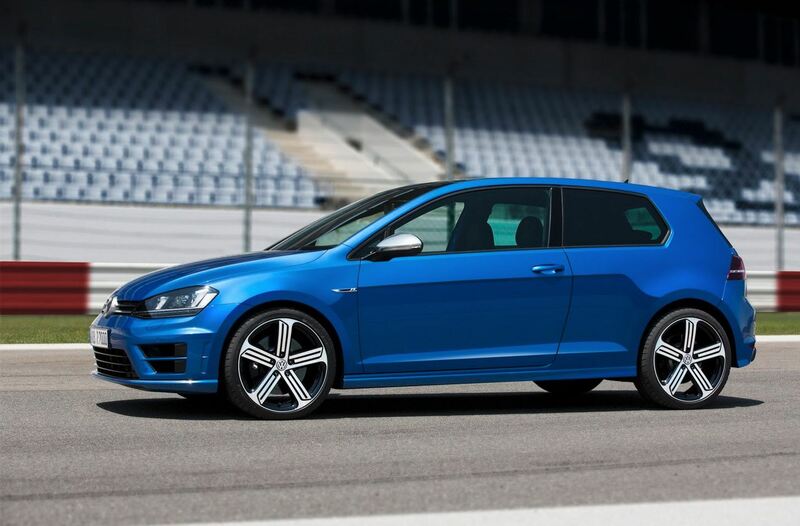 The Germans at Volkswagen officially announced the availability of the new Golf R in the United Kingdom. Priced from £29,900, the sporty hatchback is now available for order with first deliveries to happen in March. As you probably know, the hot hatch packs a 2.0-liter four-cylinder engine capable to develop 300 horsepower and 380Nm of torque. 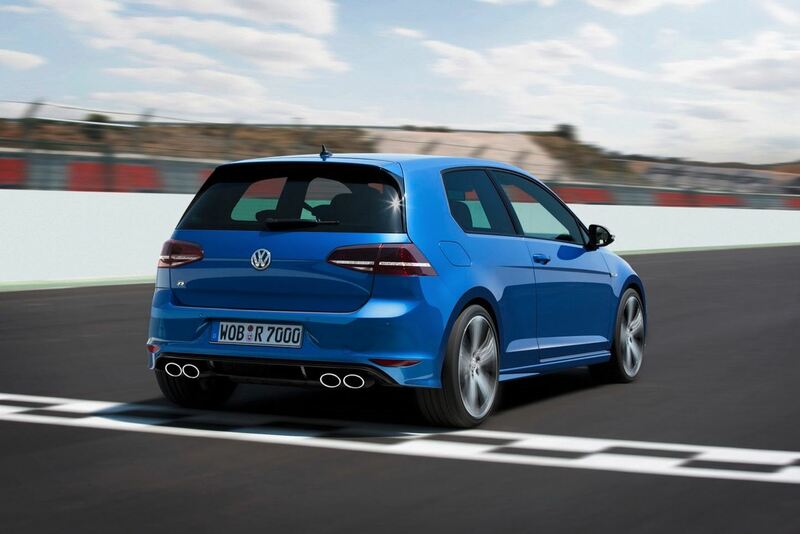 The turbocharged powerplant makes the 0-100 km/h possible in 5,3 seconds when linked to a manual transmission. The dual-clutch gearbox provides an improved time of 4,9 seconds with a top speed limited at 250 km/h. If fuel economy figures are your concern, VW announces average numbers of 39,8mpg UK and CO2 emissions of 165 g/km. 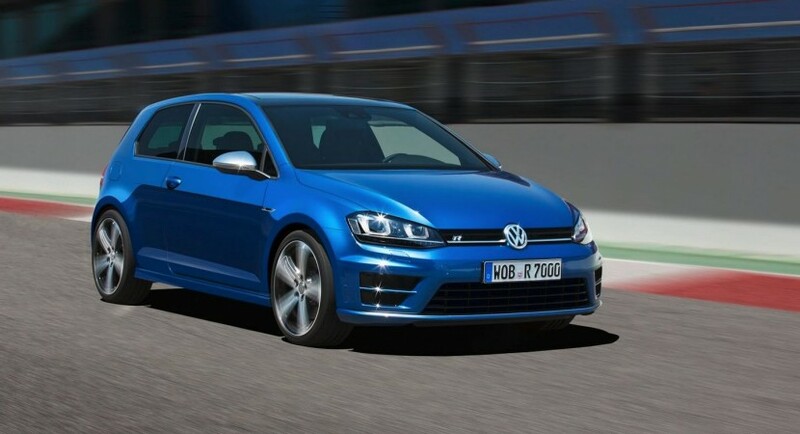 With the three-door manual model starting at £29,900, the DSG-equipped variant starts from £31,315. 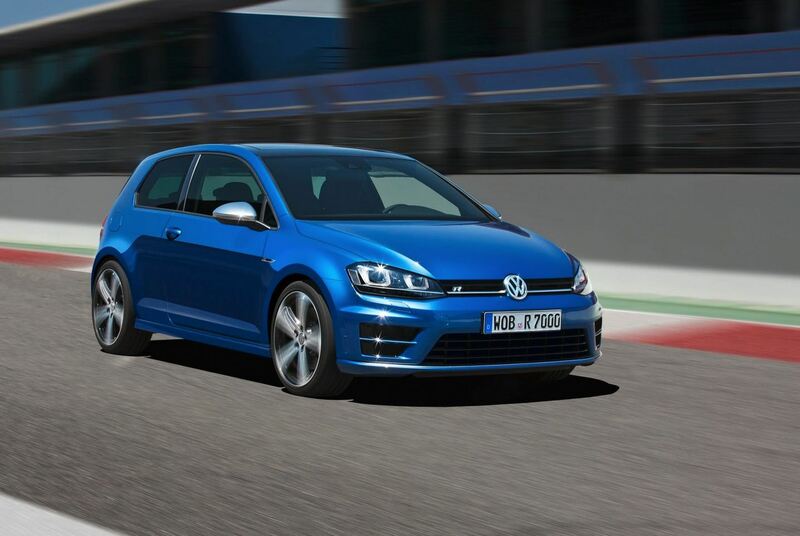 If you want the five-door model, you have to know that pricing starts from £30,555 or £31,970 respectively.